The What’s and What Nots! These questions are commonly heard in the clinic, however as you can see from Part 1, it is not so easy to identify a specific structure as the source of pain. The good news is that it is also not necessary to identify a structure in order to treat PFPS. The most common ‘cause’ of PFPS is what we call a Dynamic Genu Valgum, or “Knock Knee” position. This position can lead to an increase in Reaction Force experienced at the Knee Joint which may not result in pain in isolation, but combined with repetitive loading (such as running) can lead to the knee area becoming more sensitive and painful. There are multiple Biomechanical factors that may cause a Genu Valgum, mostly related to the Hip or Ankle. Both joints may have an influence and it is often difficult to know which joint first initiated the problem. Unfortunately, you might not be aware of any imbalances until you actually start to feel the pain. 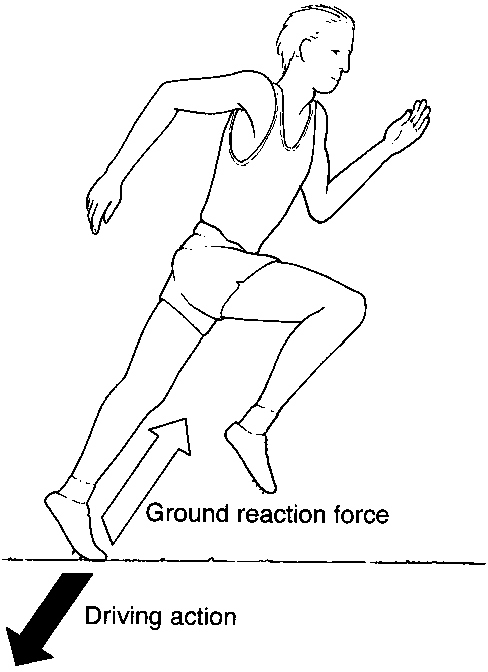 When the Foot contacts the ground, it needs to adapt to the surface to dissipate Forces experienced. The foot should be mobile enough and strong enough to allow the leg to continue to move forward over the foot. If not, the foot may compensate by Over-Pronating, causing the knee to turn inwards, leading to Genu Valgum and added stress. Flat Feet (Fallen arches/Overpronation) may be the result of poor biomechanics elsewhere, forcing your arch into a flat position. Compensating for the above faults, the body may adopt a Toe Out Walk / Run, reducing the need for Foot and Hip control/mobility. However, the knee is now progressing straight forward over a turned out foot, which results in a Genu Valgum again, but in a different position. 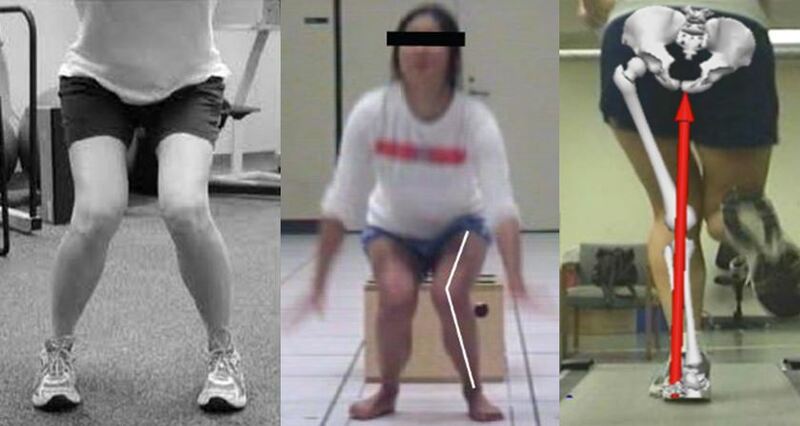 PFPS is likely a result of Genu Valgum position combined with Repetitive Use. 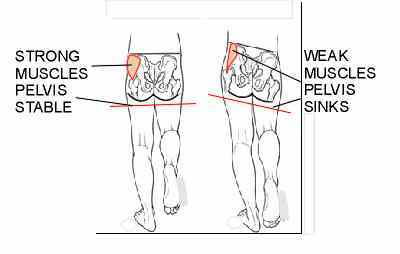 Causes of Genu Valgum include poor Lumbo-Pelvic-Hip Stability; Poor Foot and Ankle Mobility.